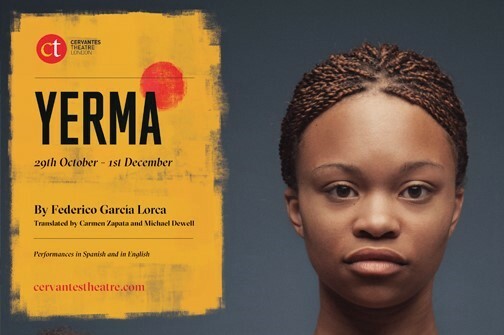 “A tragic poem”, as Federico García Lorca himself described his play, Yerma tells the story of a woman with a desire for motherhood so desperate that it eventually drives her to commit a horrific crime. Lorca’s achingly powerful play will be performed at the Cervantes Theatre between the 29th October and 1st December. Yerma is a play about a young woman living in rural Spain who, unable to have a child, becomes obsessed with motherhood and crumbles under the pressure to conform to social expectations. García Lorca’s play raises questions about waiting and disappointment, instinct and repression, the individual and social convention. Lorca was certainly the greatest and most popular Spanish poet of the 20th century, and one of Spain’s greatest dramatists since the Golden Age, together with Valle-Inclán and Buero Vallejo. 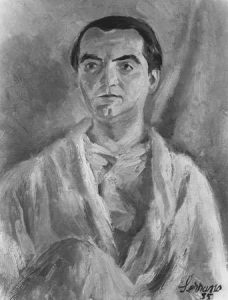 During his career, which only spanned 19 years, Lorca revitalized Spanish poetry and helped inaugurate a second Golden Age of the Spanish theatre. He was part of the so-called Generation of ’27, an influential group of poets that arose in Spanish literary circles during the 1920s with a shared desire to experience and work with avant-garde forms of art and poetry. Lorca’s poetry, drama and prose talk about all that is most central to the human condition and explore topics of passion, love, lust, and fertility. Yerma, premiered in 1934, was a direct challenge to both the Catholic Church and the strict sexual morality of 1930s Spain. According to Lorca’s biographer, Ian Gibson, it is possibly the dramatist’s work most directly associated with his assassination during the Civil War. Federico García Lorca was executed by shooting by Francoist authorities only one month after Franco’s coup d’état in 1936. Indeed, in August 1936, he was arrested in Granada by Nationalist forces, who abhorred his homosexuality and his liberal views, imprisoned without a trial, and assassinated. The play closes the presentation of Lorca’s magnificent Rural Trilogy at the Cervantes Theatre. It is adapted and directed by the renowned Spanish producer, director, and actor, Jorge de Juan, co-founder of the Spanish Theatre Company (London) and Artistic Director of the Cervantes Theatre. This representation continues the theatre’s desire to tell stories from different points of views. 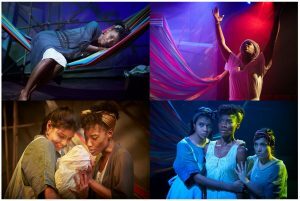 It will be performed in English and Spanish on different nights, and both the English and Spanish casts have been selected reinforcing the theatre’s commitment to diversity and representation on stage. Lorca is known for his extensive use of symbols to convey meaning in his work. Some of his widely-used symbols include the moon, which may symbolise death but also eroticism and beauty; running water, which represents life, vitality and fertility; and blood, a symbol of life, fecundity and sexuality. Pay attention when you go see the play and let us know if you identify these and other symbols in Lorca’s powerful piece! ¿Te interesa? You can read more about the event and buy your tickets here.